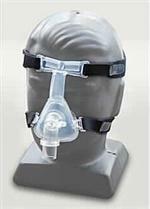 Profile™ Lite Nasal Mask One-of-a-kind comfort. Two-in-one convenience. 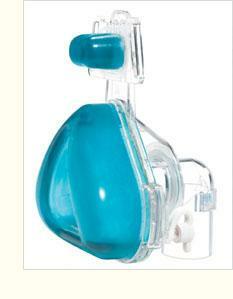 With its softer, lighter cushion, Respironics Profile Lite Nasal Gel Mask is extremely comfortable right out of the box. The unique gel cushion and forehead pad gently rest against the patient's face for a soft, pillowy fit. 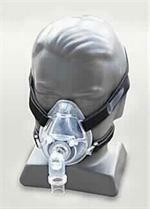 Not only is the Profile™ Lite a comfortable off-the-shelf mask, it's also a fully customizable mask. The simple, 10-minute customization process molds the mask to the individual's facial contours for a personalized seal. Your patients can easily customize the mask on their own, repeating the process as needed, to find the perfect fit. A personalized seal and a better fit means fewer visits and improvedoperating costs for you.